Gilder Lehrman Collection #: GLC03775.02 Author/Creator: Place Written: Okmulgee, Ind. Terr. Type: Pamphlet Date:  Pagination: 15 p. ; 15 x 10 cm. 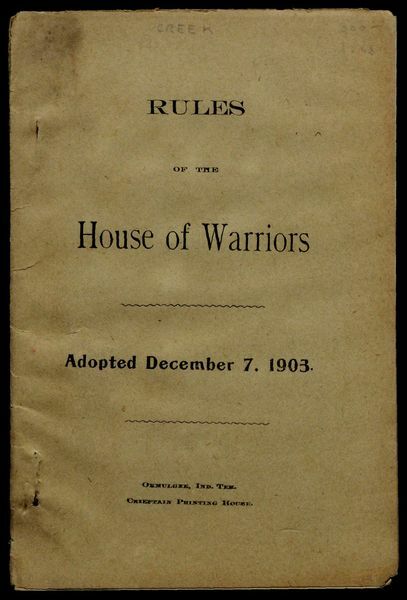 Summary of Content: Pamphlet containing rules of behavior when in assembly. Printed in English and Creek.